Proper watering practices are vital to the survival of a newly planted tree. Watering trees sounds simple enough. Surprisingly, it’s not that easy given that new trees die in the landscape from lack of water every year. The most common cause of decline in newly planted trees is improper irrigation. Here’s the secret: Get water slowly to the root ball to ensure slow delivery so water can gradually soak into the root-ball. Forget sprinkler irrigation, and especially rainfall. We cringe every time we hear someone say, "Well, it’s been raining so I haven’t started watering yet.” Rainfall WILL NOT water your newly planted tree effectively. Remember, newly planted trees must live entirely off the moisture in their root-ball until roots grow away to surrounding soils. Give them a chance. 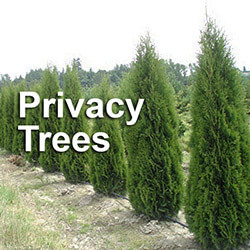 Big Trees, Inc recommends that trees be irrigated with automated drip irrigation for TWO COMPLETE GROWING SEASONS after they have been newly planted. This is typically April through October. This type of system can be as simple as a soaker hose attached to a battery operated watering timer. Drip irrigation uses the least amount of water with the highest efficiency. It evenly distributes water directly over the rootball of newly installed trees and it provides consistent moisture levels. Regular pop up sprinkler heads WILL NOT water your newly planted tree effectively, nor will “diligent” hand watering. Improper irrigation can be either too much water or too little water, and the symptoms of stress from both can be indistinguishable. Proper irrigation requires a little investigation, continued monitoring and adjustments when necessary. With so many factors it is difficult to give an irrigation standard that is appropriate for all trees and landscapes. Irrigation is NOT needed when trees are dormant. 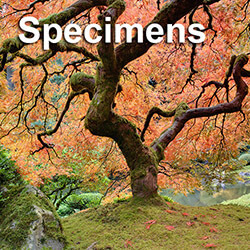 The period of dormancy for deciduous trees is easy to determine because they lose their leaves. 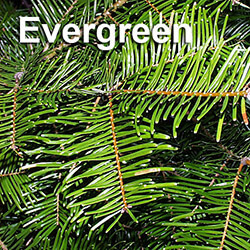 Evergreens go dormant also. 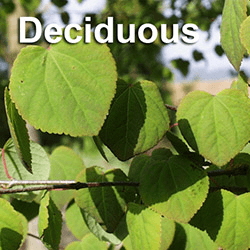 Use deciduous trees as indicators for the dormancy period for both types of trees. 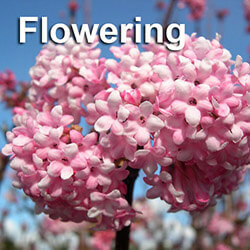 Irrigation should begin when deciduous trees start to bud up or leaf out in early spring. The most amount of water will be required mid to late summer when soil moisture has been reduced and air temperatures are at their highest. In mid to late fall the irrigation schedule can be tapered off back to a watering schedule that was used in early spring. 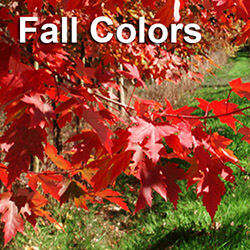 Once fall leaf drop occurs or threat of freezing temperatures, discontinue watering until the next growing season. Use a trowel to dig down at the root zone approximately 4-6”. Pick up a small handful of soil and squeeze it tightly in the palm of your hand. If the soil has formed slightly to the shape of your palm after you have opened your fist, the soil moisture is ideal. If the soil easily crumbles and falls apart the moisture level is too low, and if you are able to squeeze water from the soil when it is in your fist the soil is too wet. All water should be absorbed within 6 hours, and no puddling should occur in the root zone. Trees absorb both oxygen and water from the soil. Overly saturated soils have little available oxygen and soils that are too dry hold any moisture so tightly that it is unavailable to trees. It is a fine balance that requires continued monitoring and adjustments. If you have any questions regarding the irrigation of your newly planted trees from Big Trees, Inc. please do not hesitate to contact us.